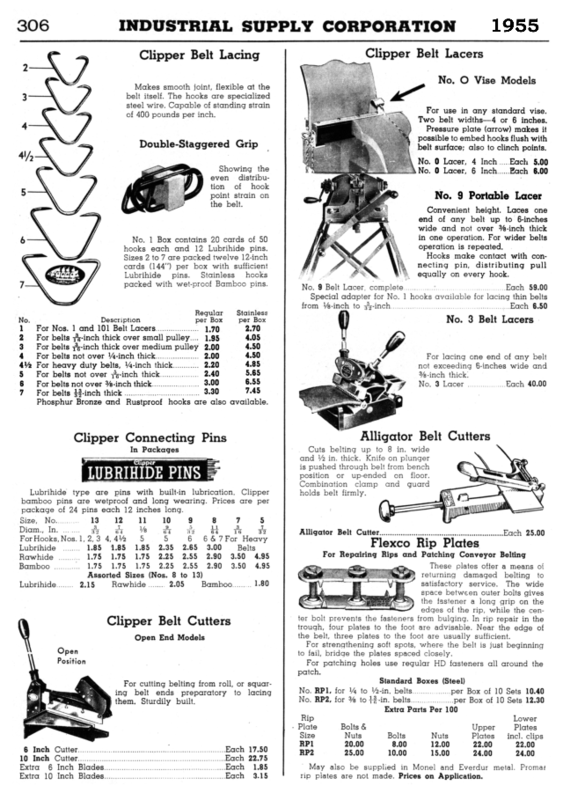 This was my father's catalog and my first look at it was when I was about 10 years old. It was always one of my favorites. 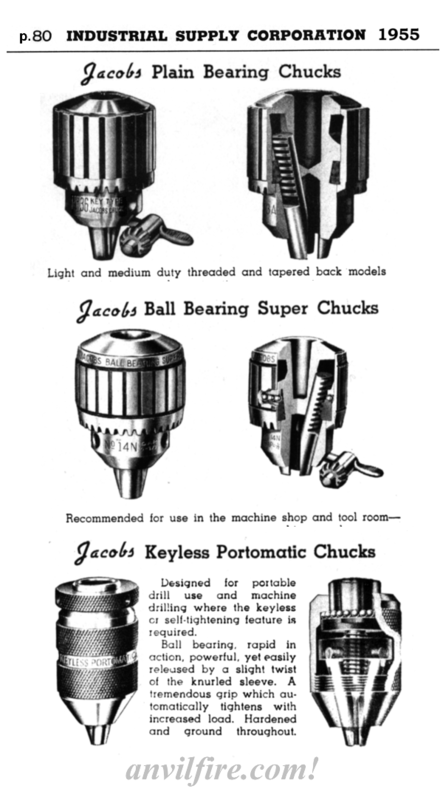 It was in our engineering library for as long as I can remember and I browsed it off and on for years. 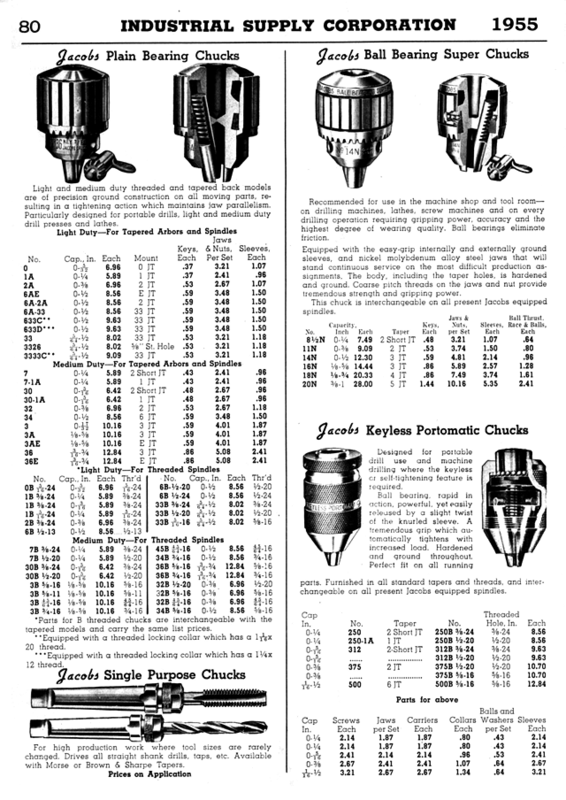 I was also a customer of the company many years later. 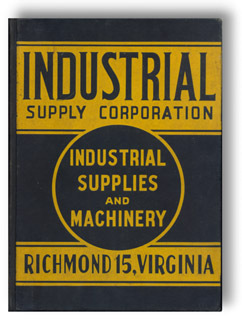 Industrial Supply Corp was bought out by Kaman Industrial Technologies around 2000. 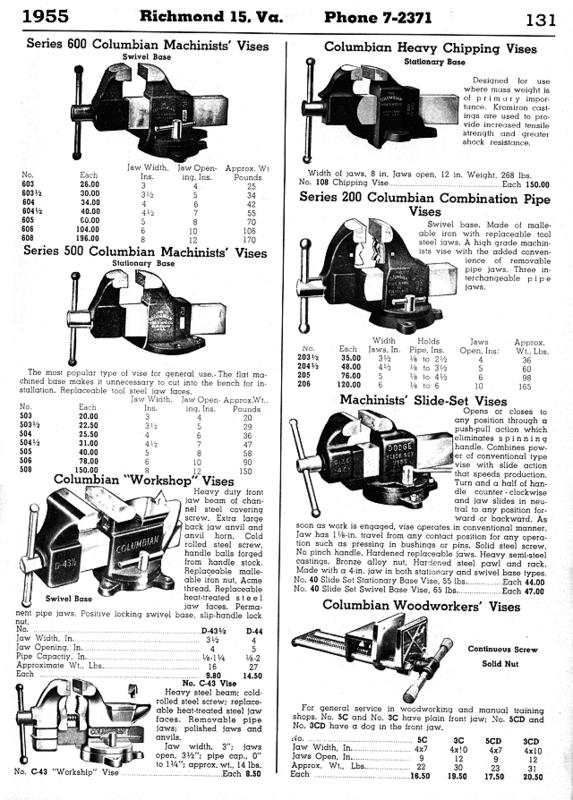 Page 131, Columbian Heavy Duty Vises, Chipping Vises, Machinist Vises and Woodworkers' Vises. 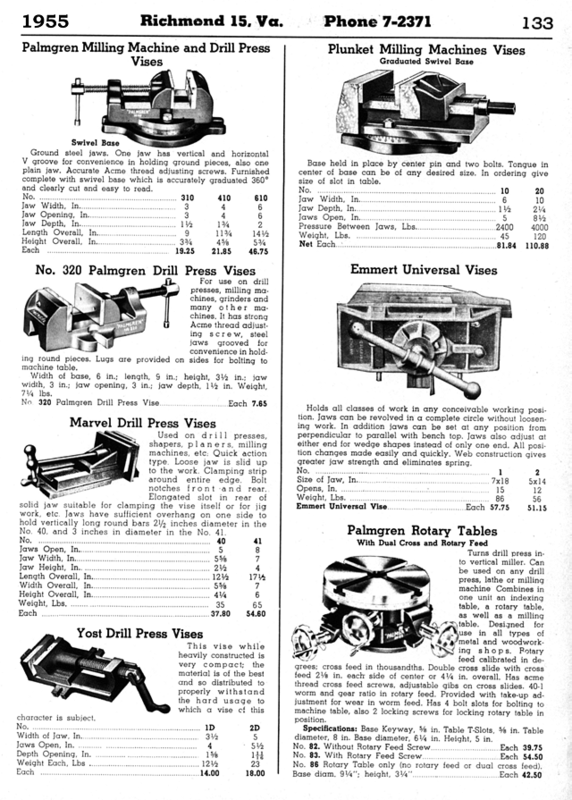 Page 132, Palmgren Angle Vises, Drill Press Vises, Machinist Vises and Milling Vises. 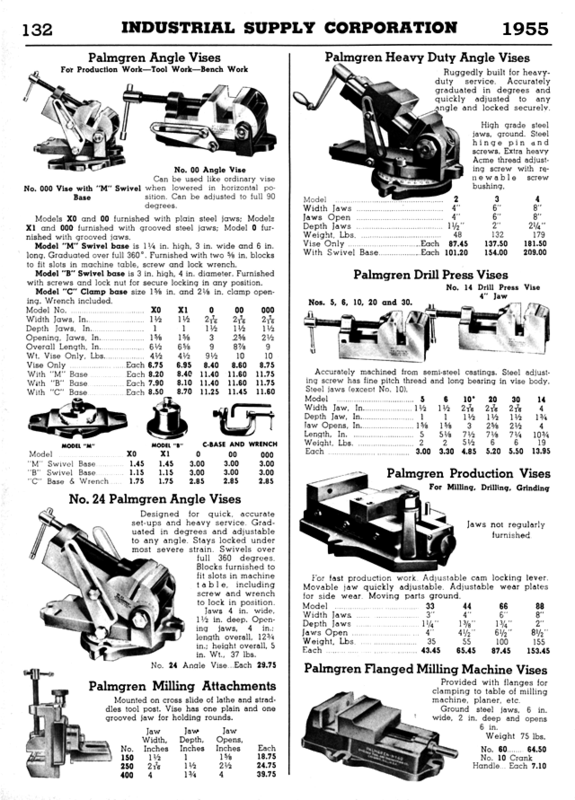 Page 133, Palmgren Angle Vises, Drill Press Vises, Machinist Vises and Milling Vises. 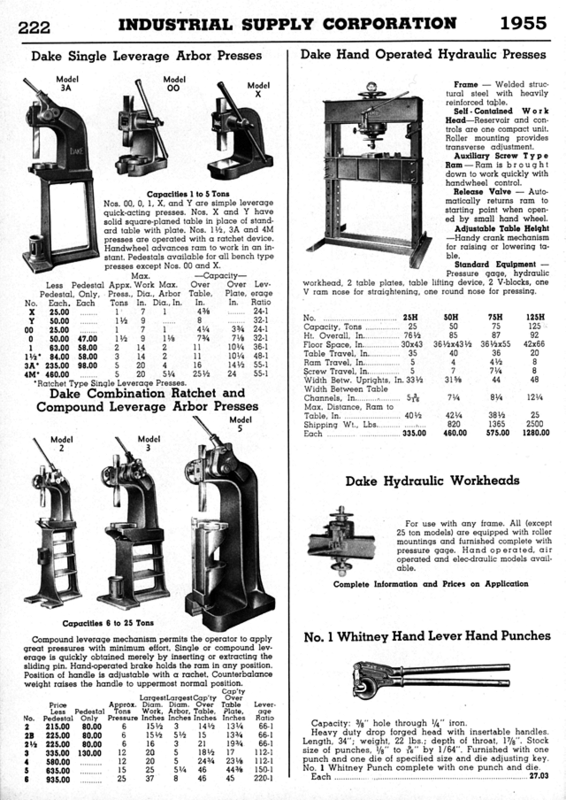 Page 134, Columbian Hydraulic, Palmgren Angle Surface Plates, Williams Pipe Vises. 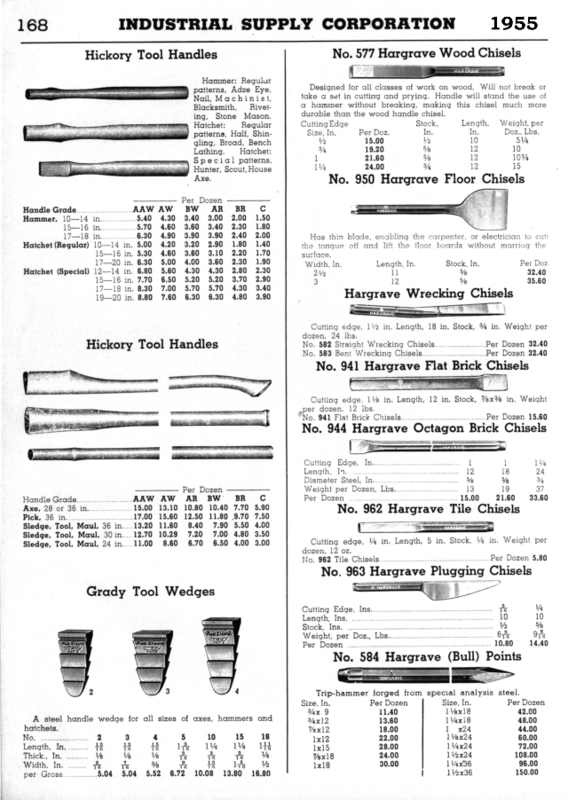 Page 168, Handles, Wedges, Specialty Chisels. 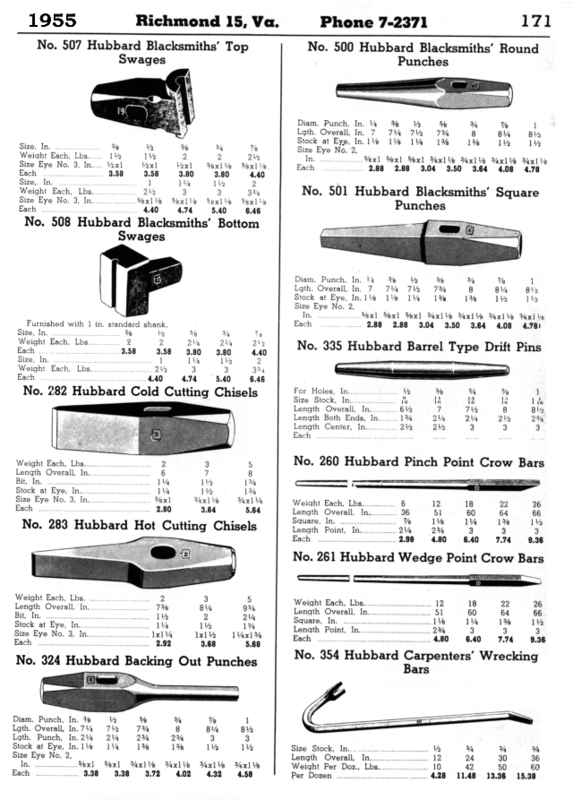 Page 169, Cold Chisels, Cape Chisels, Punches. 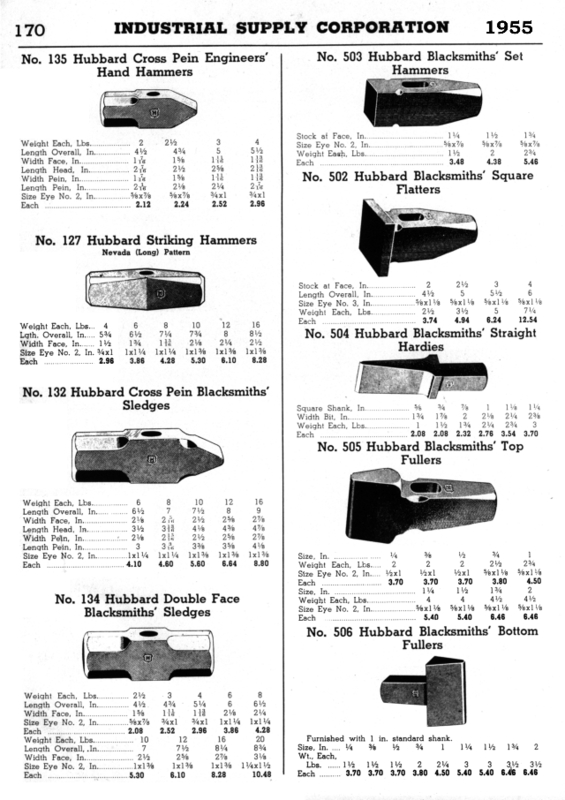 Page 170, Hammers, Sledges, Blacksmithing Tools. 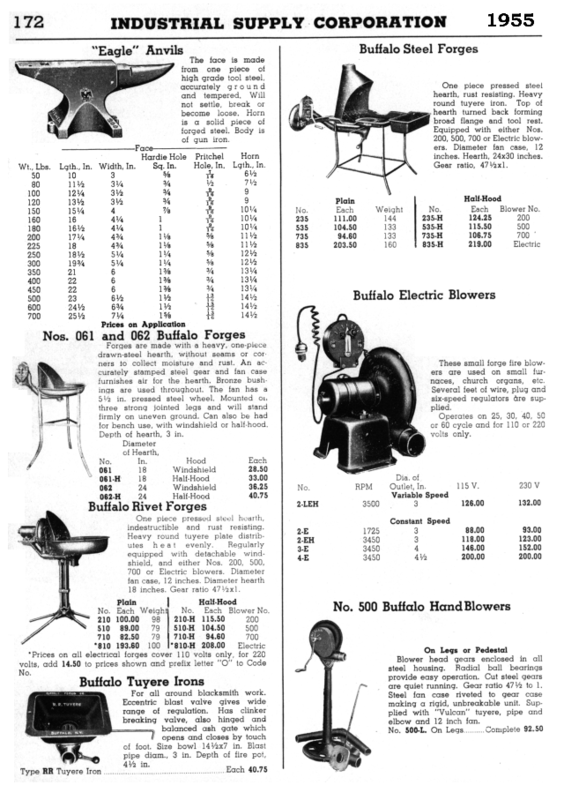 Page 172, Blacksmithing Tools, Fisher Eagle Anvils, Buffalo Forges. 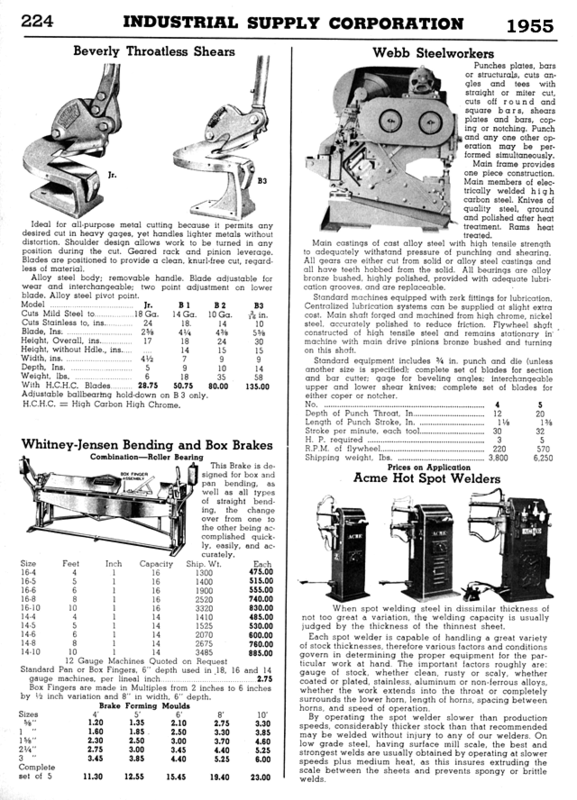 Page 222, Dake Arbor Presses, Hydraulic Press, Hand (lever) Punches. 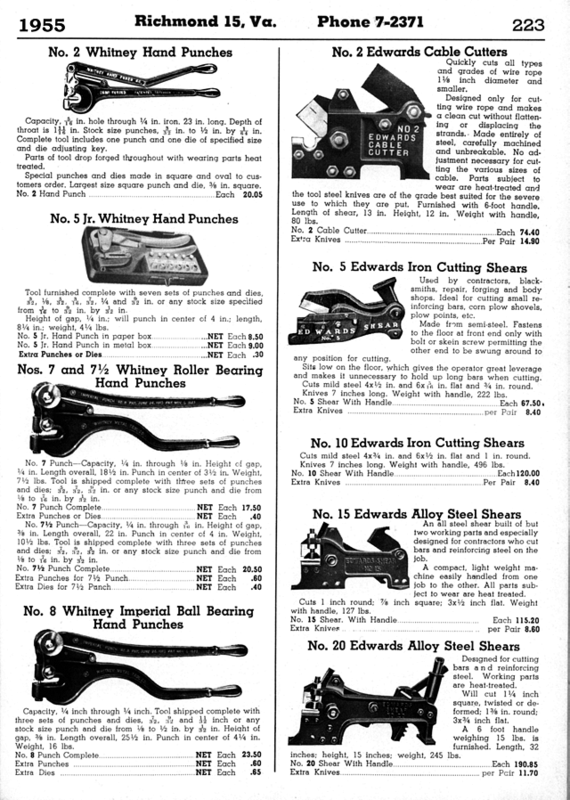 Page 223, Two Favorites, Whitney Punches and Edward Shears. 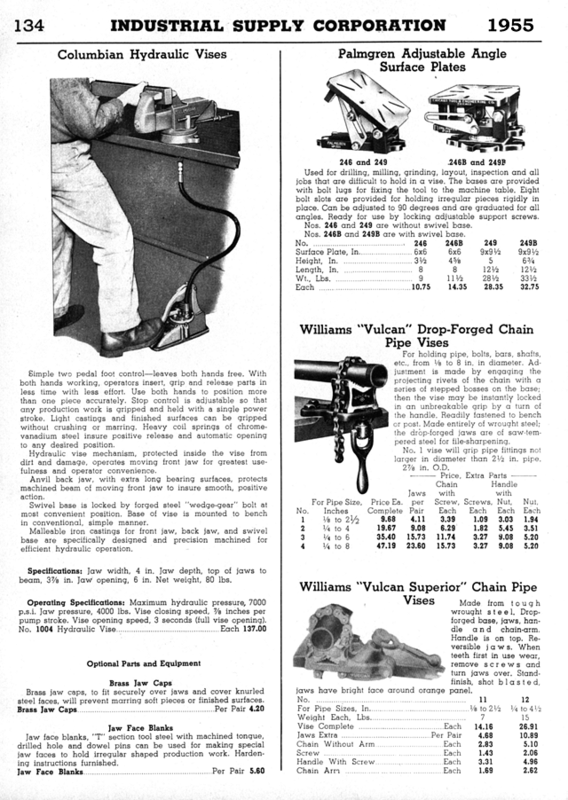 Page 224, Beverly Throatless Shears, Whitney-Jensen Brakes, Webb Steelworker (Ironworker), Acme Spot Welders. 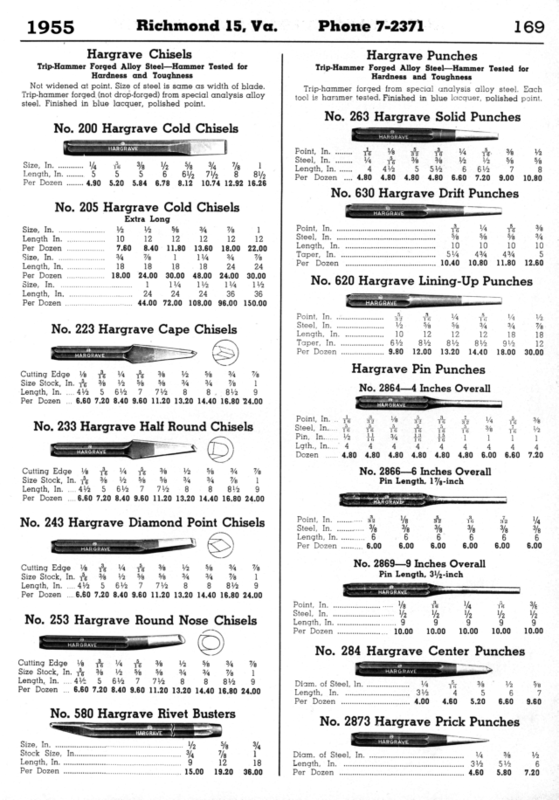 Page 306, Clipper Belt Lacing and Lacers with Lubrihide Pins (the best). 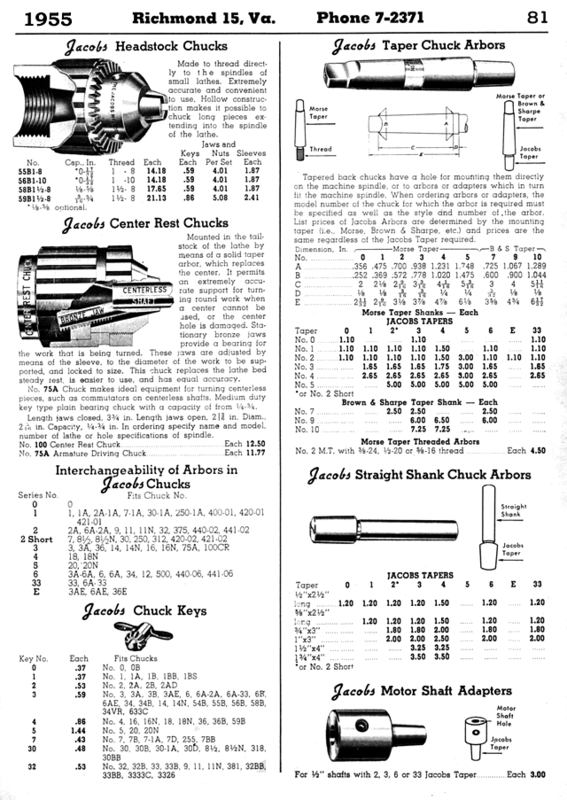 Page 81, Jacobs Headstock and Center Rest (Generator) Chucks plus Arbors.